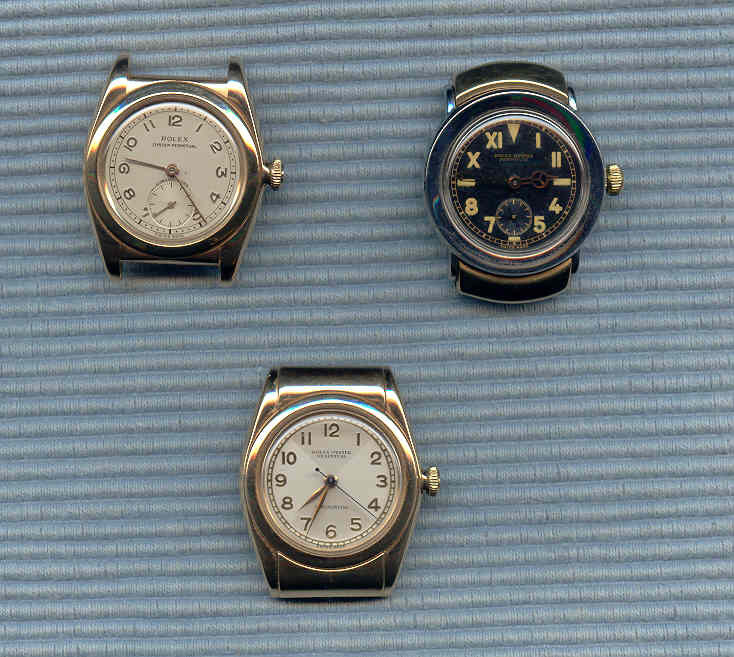 the section is mainly focus on rolex bubbleback with different case shape examples, empire, athlete, army, kings of wing, lifesaver, hooded( ribged, scallop, plain, steellines etc), non oyster, square etc. examples show in the pictures are very rare athlete, hooded( Bill Shaine collection), normal shape bb, NFS. this is a solid 14k bb, all original, in almost new old stock condition, this is the first time for me to meet a solid gold bb with such mint condition, all parts original from the 40's, hard to come by.